Meadow Vetchling has yellow pea-like flowers (approx. 15 - 18 mm) in clusters of up to about 10. 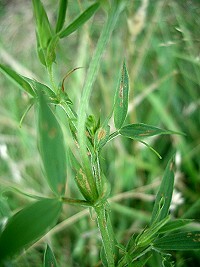 The leaves are made up of pairs of narrow leaflets and tendrils which it uses to cling to other plants. 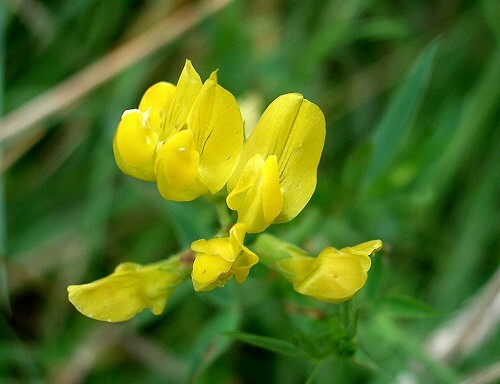 This plant can be found in meadows, woodland and hedgerows.